Ginkgo Leaf is a fine purveyor of Japanese homewares in Woollahra. 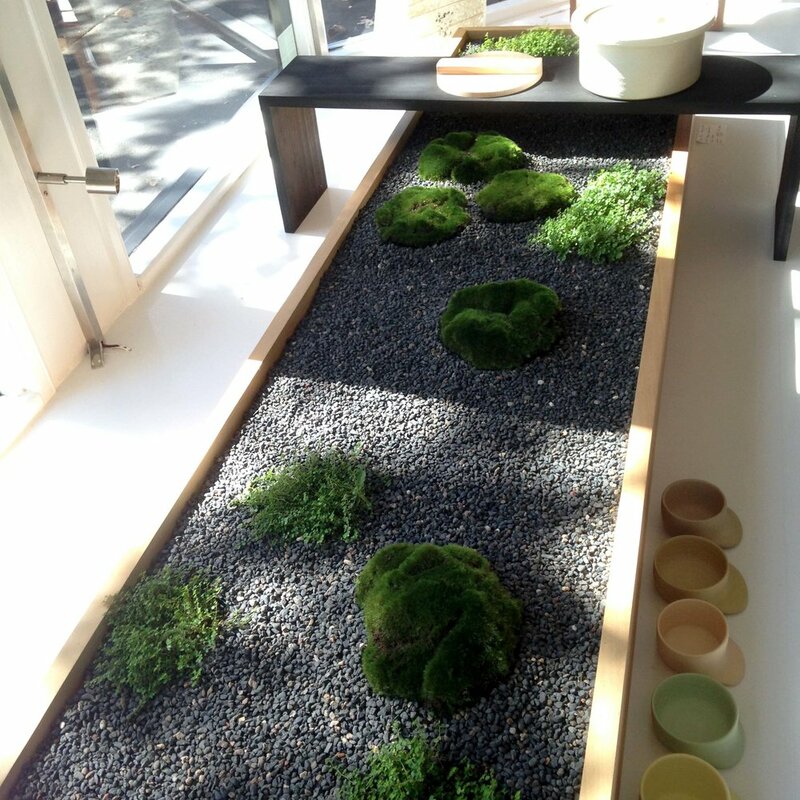 The brief was to create a miniature zen garden with a black bridge to display artefacts. The prostrate acacia and moss are islands of green in a sea of gravel, housed in a Kauri Pine planter, with a black stained Kauri bridge.